UK has issued version 2 of the Maritime Autonomous Surface Ships (MASS) UK Code of Practice, giving greater guidance on skills, training and vessel registration. The UK Maritime Autonomous Systems Regulatory Working Group (MASRWG) published the first code of practice to global industry-wide acclaim in November 2017. Whilst not a legal text, the Code has been used by manufacturers, service providers, and others as part of their day-to-day work. Many manufacturers have reported clients requiring compliance with the Code as a basis for contractual negotiations. The Code of Practice provides guidance for the design, construction, and operation of autonomous maritime systems. 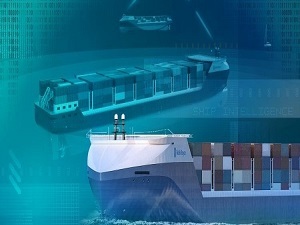 Whilst the first version was majorly focused on the design and manufacture of vessels, the updated version adds new guidance on the operation of autonomous vessels, with a particular focus on skills, training and vessel registration. The world of maritime autonomy is developing fast and the Code of Practice has informed and been used by a wide range of companies and organisations around the world. Harry Theochari, Chairman-elect of Maritime UK said: “The UK is a real leader in maritime autonomy, and that position owes much to the leading role we play in the debate around regulation. We will work with government to strengthen that position through the Maritime Sector Deal and look forward to the publication of its long-term strategy for the sector, Maritime 2050.